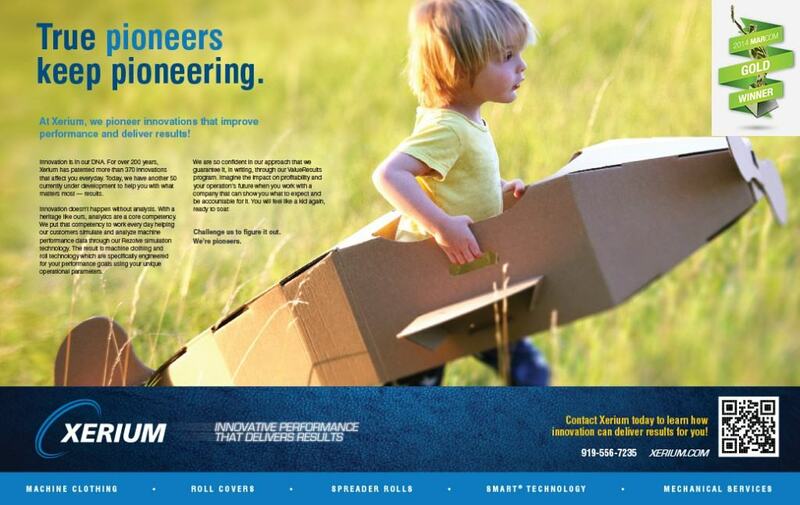 Xerium Technologies, Inc., a leading global manufacturer and supplier of consumable products in the pulp and paper industry, hired Hummingbird to create a full 2-page spread in Paperage magazine. The ad was the first of its kind as it showcased their technical leadership and continuous innovation since being founded in 1802. Xerium’s innovation facilitated the crossover to other manufacturing industries including fiber and stock processing, non-woven fabrics, building products and speciality products. The airplane is cardboard—one of Xerium’s biggest markets.